When The Pig Came Home is no stranger to the Junction. 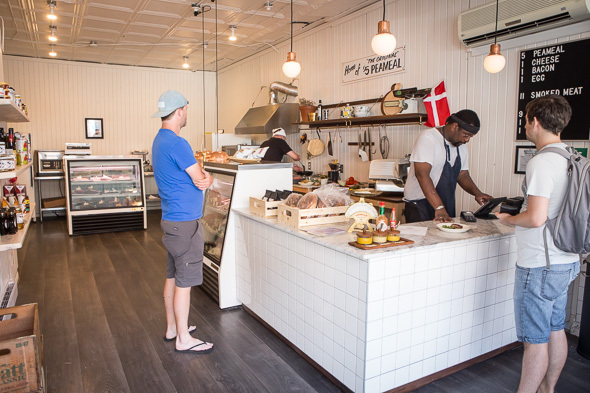 Locals will surely recognized owner Ryan Gatner as a fixture at local markets, where he's known for slinging out peameal bacon sandwiches and BBQ . When asked, "why a deli? 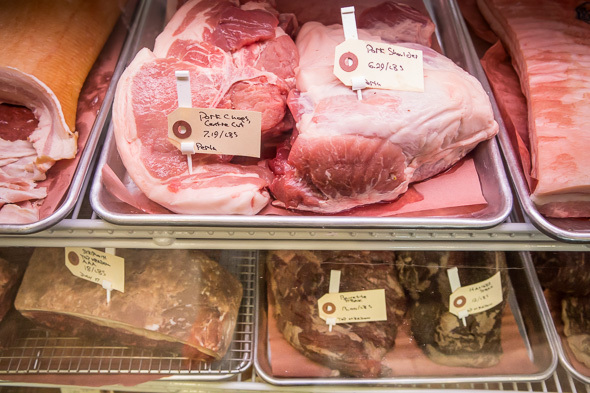 ", Gatner calls upon memories of eating kielbasa and cabbage rolls as a kid and notes that his favourite butchers are slowly retiring as they age. 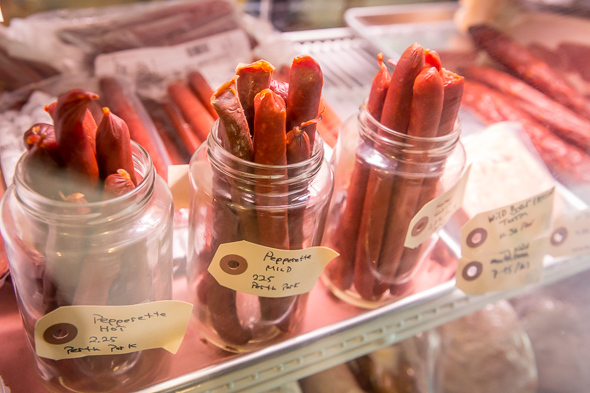 His whole concept is a tribute to the old-school, Eastern European delis of yesteryear. Designed in collaboration with John Baker of Mjolk , the retail space features white subway tiles, painted tin ceilings and salvaged brass rails. 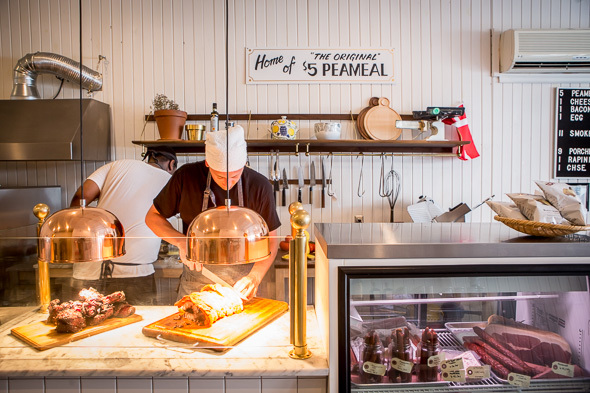 There are chits impaled on butcher hooks as well as porchetta and Montreal-style smoked meat on display. 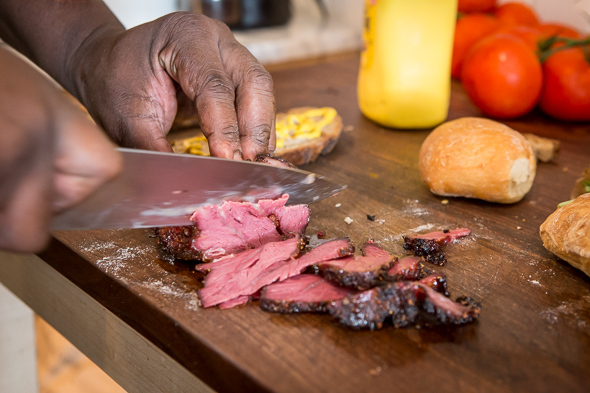 And it's not just any smoked meat. In lieu of brisket, Gatner uses beef cheeks - the resulting sandwich ($11) is awesome. The hand carved meat is thick and sweet with a supple texture. 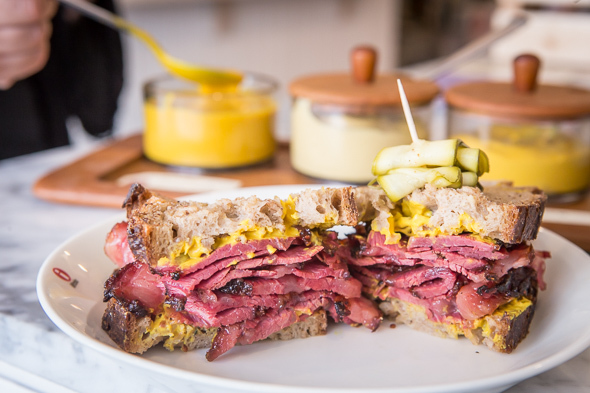 This sandwich needs nothing more than mustard, and comes dressed accordingly. It's built on thinly sliced bread from Prairie Boy , which is almost too fresh and too soft to support the mass of meat piled on top. The porchetta ($9) uses Perth pork shoulder and belly and comes seasoned with lemon zest and a fennel rub. 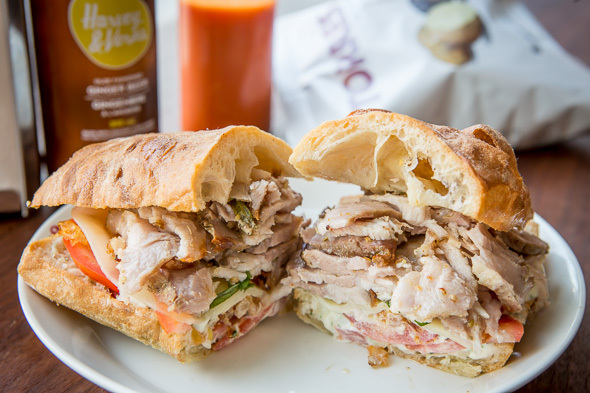 Once carved and piled onto a ciabatta bun with lettuce, tomato and optional provolone (plus $1) and rapini (plus $1), the Northern Italian-style roast is finished with crackling and dressed with a roasted garlic-basil aioli. 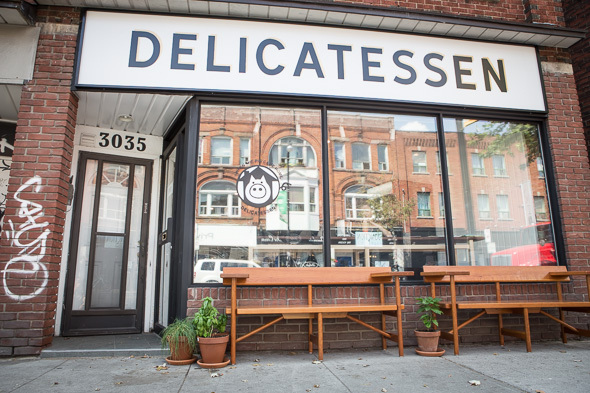 The deli also offers WTPCH's original $5 peameal sandwich, featuring rounds of house-cured, nitrate-free pork loin on a soft fluffy bun. 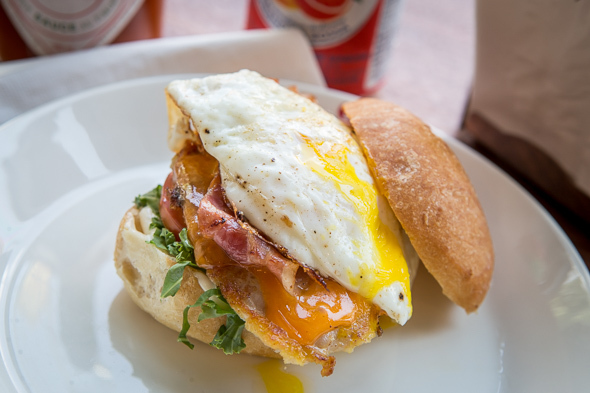 A slice of cheese, a fried egg or an extra strip of bacon are a dollar more each, but $8 for a fully loaded sandwich is money well spent. House aged steaks in a range of cuts from hanger and bavette to picanha and sirloin, are joined by pork chops, belly and double smoked bacon in another refrigerated display case. 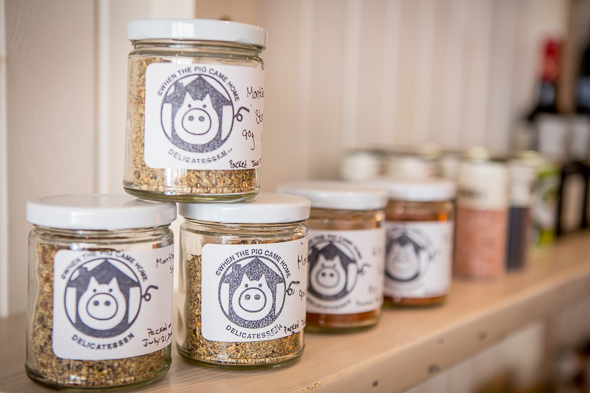 A few shelves comes stocked with a modest selection of pantry items, including kosher salt, Kozlik's mustard and jars of seasoning rubs.